Summer is rolling along and hopefully your odometer is reflecting more and more miles that you've enjoyed in your Porsche. In this issue of Steinlifters Online, read about past and upcoming events -- events that are planned for you to get out and meet other members of Porsche Club of America. Photo at right taken by Hawk Wilde at the region's July 18 autocross at Miller Park. Read the results of that event in this issue, and more. Parade 2009 is in the history books. A couple of Milwaukee Region members made the trek to Keystone, Colo., to participate in this annual gathering of members of Porsche Club of America. Congratulations to Bruce and Maria Tammi who placed 31st in the navigational group of the rally at Parade and to Gary Princl who served as a concours judge. Paul and Sharon Stewart count the 2009 Parade as their ninth consecutive parade. Thanks to Zone 13 Rep Ken Hold for his commentary and to Paul for submitting photos which you can view here. 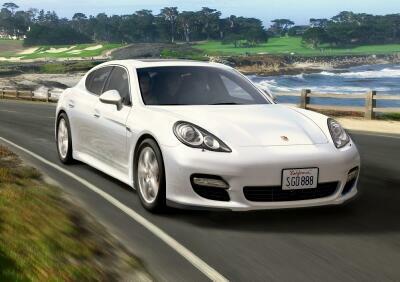 Panamera, Porsche's entry into the sports sedan market, made its PCA debut at the Parade in July in Keystone, Colo. The participants of the 2009 Porsche Parade had a surprise guest roll into one of the evening banquets. Check out this video from Parade. Also at Parade, Laura Prellwitz, left, president of the Fox Valley Region, was named Enthusiast of the Year, If you've ever met Laura and observed her in action, you can attest that this award is well deserved. Laura leads a small but very active region whose members enthusiastically participate in a year round slate of social, driving tours and technical sessions. Congratulations to Laura on this wonderful recognition. You can meet Laura and other members of the Fox Valley Region at our joint-region family picnic on Sept. 5 at Porsche Park at Road America. To get a better glimpse of what Parade is all about, check out this video from the Speed channel's coverage of 2009 Parade in Colorado. August brings another opportunity for driver education at Blackhawk in conjuction with the BMW club, two autocrosses at Miller Park. The Aug. 6 board meeting is at the usual place -- Brew City Grill in Mequon. Members are always welcome to attend and listen in on board discussions and contribute ideas or comments. Aug. 6 -- Board meeting. All members welcome. 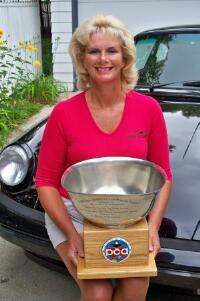 Brew City Grill, Mequon, 6:30 p.m.
Aug. 7 -- driver education (DE) at Blackhawk. Registration details here. Aug. 9 -- Autocross at Miller Park. Details here. Aug. 23 -- Autocross at Miller Park. Details here. Sept. 5 -- Free family picnic (individuals welcome too!) 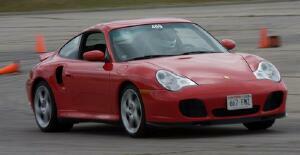 at Porsche Park, near Turn 1 at Road America. If you haven't had a chance to participate in any event this year, make this your first. Your Porsche will love being parked in area that is exclusive for Porsches. It will be a fun, relaxing time with our friends from Fox Valley Region. The details are here. We need your RSVP by Sept. 1 for planning purposes. Sept. 19 -- Fall driving tour. Details will be available later in August. Save the date now. Recap of recent events. We know how to have fun in our Porsches. A brisk pace, great dinner and awesome display of concours quality cars was the perfect mix for region members who participated in the Social committee's drive and dine event on July 18. Read the recap, including members' comments, and check out the photos here. Autocross was happening on July 18 as well at our "home course" in the east parking lot at Miller Park. The Brewers were playing away so we were not autocrossing among the tailgaters. Read the results and check out photos of PCA members in action, captured by Milwaukee Region member Hawk Wilde. 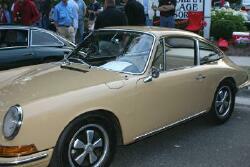 German Fest 2009 featured 17 outstanding Porsches. Read the event report here. Have you circled and saved the date of Sept. 5 on the family calendar? This is the day of the free picnic for all region members. 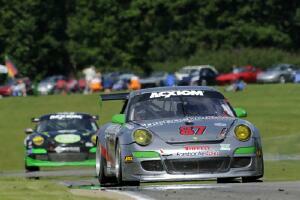 We will join with members of the Fox Valley Region, meeting at Porsche Park in the confines of Road America. There is no entry fee at the gate as the Chicago Region has the track reserved for its annual Club Race and driver education weekend. Don't miss out on the fun. This is a Wisconsin-style family picnic. The hosts (that's your region) are providing all the fixings for burgers, brats and hot dogs. We're asking each family to bring a side dish to share (pickles, chips, desserts, salads, etc.). We are also asking that each family (it's OK to come solo too!) sign up to help with set up, grilling and serving or tear down. The tasks are simple and many hands make them go quickly. RSVP is required by Sept. 1. Details here. Don't skip this one. Remember, it's FREE. Good food, great conversation and exciting racing on the track that runs adjacent to Porsche Park. It doesn't get any better than this. We hope to see hundreds of members there. We have the room -- come on out! Celebrating an August anniversary with PCA. This listing shows member name and the year when he/she joined PCA. 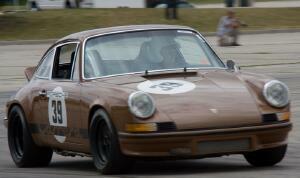 Porsche Escape, Oct. 1 -4 in Dayton, Ohio, is now open for registration. What's Porsche Escape? It's a scaled-down version of Parade, usually held in the fall of the year, in the geographic opposite of the year's Parade location. This year's Parade was in Colorado. The 2009 Escape is in Ohio. The organizers, including the Ohio Valley PCA Region and PCA, have an outstanding slate of activities scheduled, including some very exclusive opportunities to visit historic aviation sites. 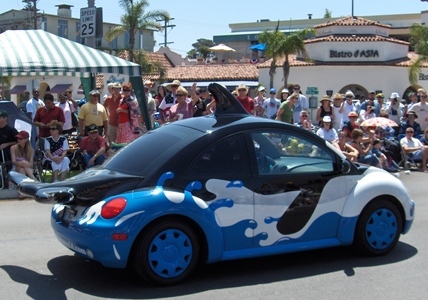 There will be some great driving tours and lots of time for fun and socializing. For all of the details, visit this link. Podcasts from PCA -- listen to a variety of audio presentations (they call them podcasts because you can download to your iPod) on the PCA site, which has a lot of great information and news to offer members. Podcasts here. Corporate. Change in leadership at Porsche AG. Sales. June sales down more than 5,000 units from year ago. July sales down more than 51%. Past issues of Steinlifters Online are archived on this Web site. Scroll to the bottom of the page at this link to find past issues.